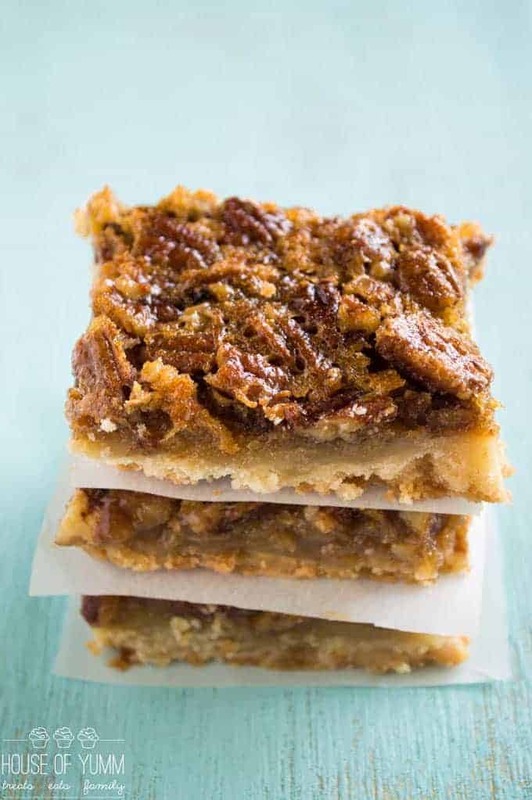 Pecan Pie Bars. 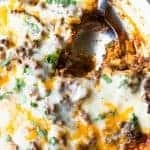 So much easier than it’s cousin the pie, this laid-back version has a flaky sugar cookie crust and your favorite pecan pie filling smothered on top! In case you haven’t noticed, I’m slightly obsessed with pecan pie. 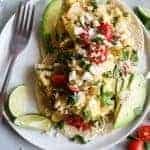 I eat it for breakfast, snacks, and of course one of your favorite recipes: the mini version. 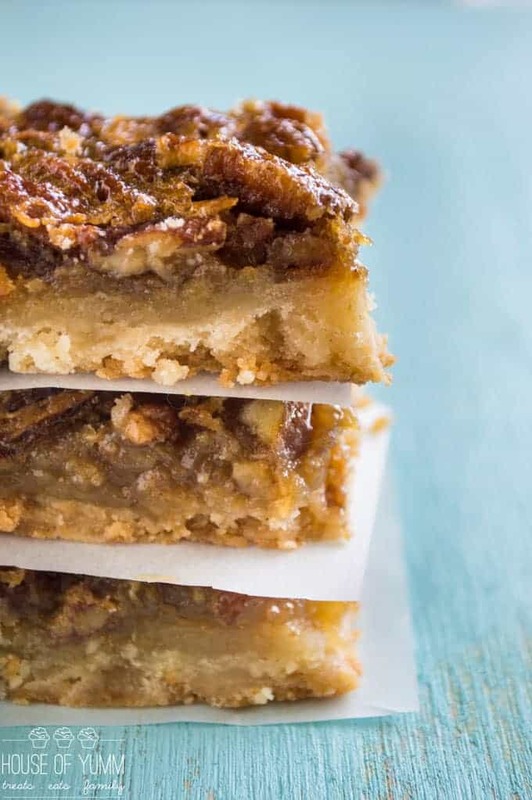 Now we’re adding to the list with these Pecan Pie Bars. 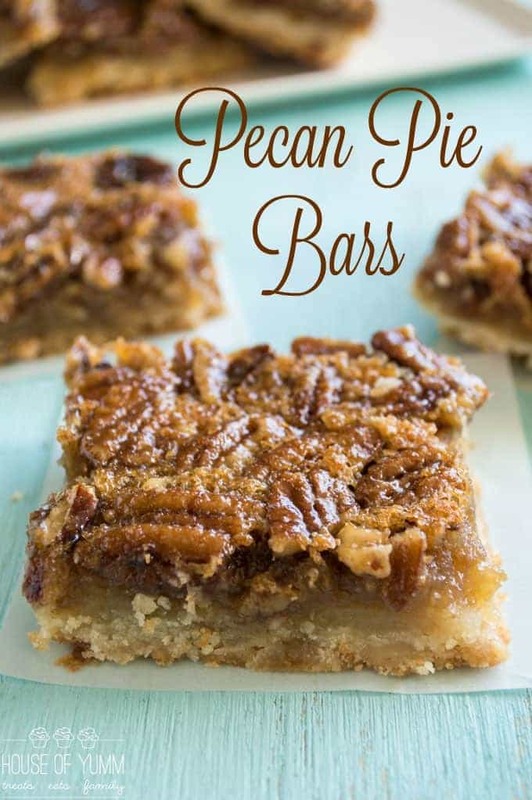 These are like the chill cousin of pecan pie. 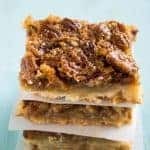 Pecan Pie can be a little high maintenance sometimes, having to get all done up in the pie crust 💁🏻 These bars come together much quicker due to the ridiculously easy cookie like crust. The crust on these is easy to make, but tastes phenomenal. It reminds me of a sugar cookie. But flaky, like a pie crust should be. It’s the perfect density to hold up to that gooey pecan pie filling that is going to be spread on top. Preheat oven to 350 degrees F. Grease a 13×9 inch baking pan. Set aside. Pour in the milk and mix with fork, then with hands to ensure the moisture is evenly distributed in the flour mixture. Press the dough into the greased baking pan. Bake at 350 for 20 minutes, the top of the crust will be a light brown color. While the crust is baking, prepare the pecan pie topping. In a medium size bowl lightly beat the eggs. Add in the light brown sugar, light corn syrup, melted butter, vanilla extract, and chopped pecans. Stir to combine. Spread this over the hot crust after it’s baked for the 20 minutes. Bake again for another 20 minutes, or until the pecan pie filling has set (when you wiggle the pan the filling will no longer jiggle). Remove from oven and allow to cool. Cut into bars. *I found it easier to slice into bars when the bars were cold. 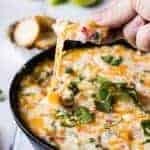 Just place in refrigerator for about 20 minutes or until cold and slice. *I also loved eating them when they were cold! 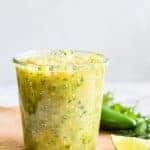 These can be stored in a sealed container at room temperature or in the fridge for 3-4 days. Hi Paula! The recipe is in the post 🙂 Let me know if it’s not showing up for you for some reason! This sounds so delicious, I think I might have to try it out before Thanksgiving arrives. You know, for quality control and such. 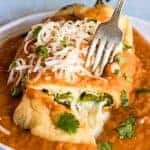 I’m wondering though if I can use maple syrup instead of the corn syrup – I like the taste much better and I feel it might be just a smidge healthier. Any ideas?